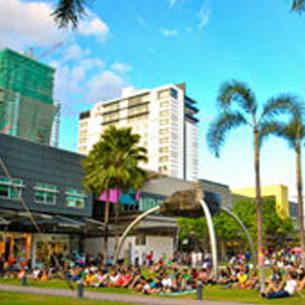 FORT BONIFACIO DEVELOPMENT FOUNDATION INC.
Fort Bonifacio Development Foundation Inc. (FBDFI) was registered in Securities and Exchange Commission (SEC) as a non-stock, non-profit social responsibility arm of Fort Bonifacio Development Corporation in 1996. FBDFI also serves as an auxiliary social welfare agency of the Department of Social Welfare and Development (DSWD) and is registered with Philippine Council for NGO Cetrification (PCNC) in 2010. FBDFI is dedicated to create developmental projects on Education, Employment, Health and Community Development, all for the benefit of communities in Taguig City.